We help people to see the best in themselves and others. mynds Consulting supports individuals and companies in realizing their full potential to achieve terrific results – for themselves, the team and for the entire organisation. We are the exclusive representative for the Fascination System developed by Sally Hogshead in the German speaking markets. We offer tailor-made solutions and certification for the Fascination Advantage® personality test. Our consulting, training and coaching delivers real and sustainable value for personnel development, leadership training, team building, marketing, sales and communication. Alexandra Altmann started mynds Consulting. She feels passionate about supporting people to become more of who they are and authentically providing value to those who matter most to them. Being fast, simple and hands-on it visualizes the distinct strengths of a person or a team and helps them develop their full impact. The areas of application are endless, just like the multitude of situations in which people want to make a difference. The team of mynds Consulting brings a diverse background and perspective to Fascination: Alexandra comes from consulting in psychology and team development, Sabine contributes extensive experience from marketing. Katrin’s expertise in Human Resources and Diversity is a great addition. And Petra Kopp is completing our team setup with her expertise in organizational development of sales and marketing teams. All of us have worked in leadership positions for many years across different industries. We are united by a passion to create an organisation which is value-based and provides outstanding service to our customers. 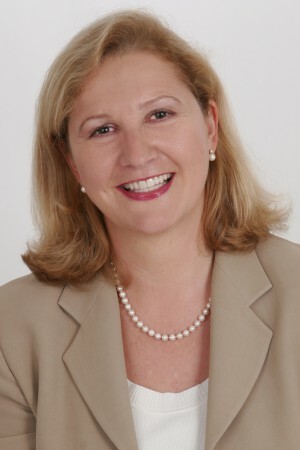 Alexandra brings over 25 years of business consulting and organizational psychology. Her passion is leadership. She expertly consults leaders and organizations on how to effectively lead yourself and others. From this she realized that the key to being successful is to find your own strong core and to align your priorities with your strengths. After a career as a partner at Accenture and as managing director with the FranklinCovey license holder in the German speaking market she started her own consulting company. At mynds Consulting she is offering the Fascination Advantage® personality test to everyone who wants to discover their unique value for others and who want to make a stronger contribution to their teams: Be more of who you are! Sabine has over 20 years of management experience in online sales and e-commerce and is an expert in marketing and sales. She is passionate about starting, leading and organizing projects and companies. And inspiring teams to achieving their goals. With mynds consulting and the Fascination System she can combine her marketing know how with her leadership experience. Her vision: Help organizations to create more value, by utilizing the full human potential and advantages: Different is better than better! 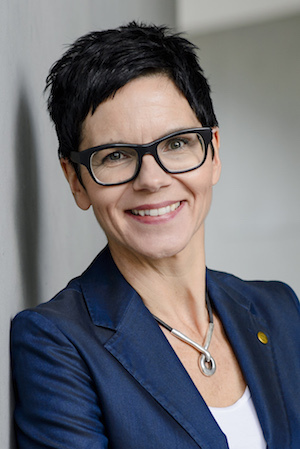 Katrin is a Human Resources Leader looking back on 20 years of international leadership experience in global corporations such as Microsoft, Airbus Group, TUI and EY. Her expertise is in consulting on high-performing teams, diversity based on mutual understanding, change management, HR business partnering and modern HR management. 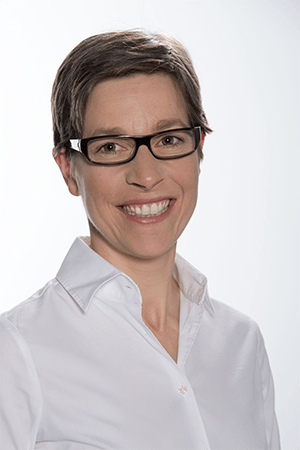 Katrin is especially fascinated by the possibilities to use the Fascination System in teams and in leadership. She builds on motivation of people as a result of mutual understanding. Petra is an innovative sales strategist. She brings 20 years of leadership experience as international Senior Executive for operational and strategic sales and marketing excellence at Microsoft, Siemens and medium-sized companies. Petra is using the Fascination Advantage® System to let teams understand and appreciate the individual performance factors and success forces of their members. This is maximizing the teams’ impact, increasing the efficiency and motivation within sales teams. At the same time, it helps to understand, enrich and grow relationships and results with customers and teams. Find more on mynds Consulting in the German speaking markets at www.mynds.de. World-class branding expert Sally Hogshead and her company Fascinate Inc. discovered a new way to measure how people perceive your communication, through the Fascination Advantage® System. The science of fascination is based on a decade of research with more than 700,000 participants, including dozens of Fortune 500 teams, hundreds of small businesses, and over a thousand C-level executives. The Fascination Advantage® System has helped hundreds of thousands of participants discover their natural advantages of persuasion. Her clients include companies like Hyatt, Disney, General Electric, Unilever, Cisco, AT&T, Twitter and many more. Before researching fascination, Sally rose to the top of the advertising profession in her early 20s, writing ads that fascinated millions of consumers for brands like Nike, BMW, MiniCooper, Coca Cola, Godiva, IKEA and many others. Today she is an acclaimed author and keynote speaker. In 2012, she was inducted into the Speaker Hall of Fame, the industry’s highest award for professional excellence. Her books Fascinate. Your 7 Triggers to Persuasion and Captivation and How the World Sees You have been bestsellers and have been translated into over a dozen languages. She is the creator of the Fascination Advantage® Assessment: the world’s first personality assessment that measures what makes someone fascinating. She believes: The greatest value you can add is to become more of yourself.